Perhaps best known as the home of the Kentucky Derby, Kentucky Fried Chicken, and Louisville Slugger, Louisville, Kentucky is the largest city in Kentucky. It’s also one of the best places to live in the United States. Louisville is recognized as a great place to raise a family, with a safe community and well respected schools. There are regular events with live music, food trucks, and more every summer. It’s no wonder that the Louisville real estate market is on fire right now. In 2014, the average home price in Jefferson County grew by 63.1% from 2007 prices, and that trend has only continued. May 2016 broke multiple Louisville real estate records with fast home sales, the lowest absorption rate in Louisville real estate history, and the highest median home sale price since 2006. 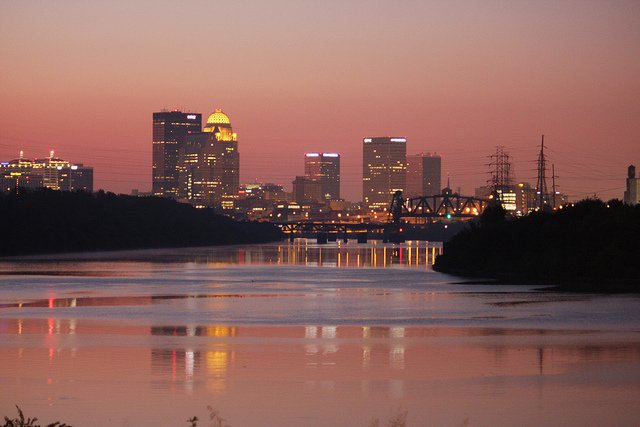 Inventory levels are low in Louisville and prices are expected to rise even further. There’s no question that this is an exciting, but sometimes tough home market. Working with an experienced, effective real estate agent is key to getting the most out of your home sale or zeroing in on the best available home for your family. We’ve found the 15 best real estate agents serving the Louisville area. They’re excellent at mastering the market and getting the most out of every real estate transaction. Each of these trusted experts is a great choice for your next real estate move in Louisville whether you’re buying, selling, or investing. We trust every one of the real estate agents we’ve profiled to provide an outstanding service, so we haven’t listed them in ranking order. But we do want to know which one you think is the best. Please vote in our poll at the end of this article to tell us which real estate agent is the best in Louisville. Just don’t delay, as the poll will close in 30 days. A real estate professional with Kentucky Select Properties, Christy Dodds is also a lifelong Louisville resident who loves the city. As a real estate expert, she walks her clients through the steps toward home ownership, all the way through financing and closing. Dodds asks the right questions, gets the right answers, and ensures that the process of buying a home moves forward with ease. Clients say she has a strong sense of integrity, good communication skills, and is clearly hard working. They’re impressed by her knowledge and ability to expertly negotiate. 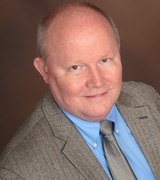 Jay Pitts is broker owner and property manager of Jay T. Pitts + Associates. 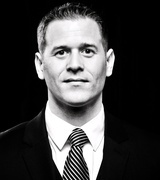 He has 12 years of experience in real estate and is a highly driven agent. Pitts is a second generation real estate professional and has experience in nearly every facet of the real estate industry including management, auctions, sales, marketing, residential, and commercial. He’s even worked in the mortgage industry and invested in real estate. Today, Pitts guide his clients through mortgage lending, home buying, and sales for a positive real estate experience. Clients say his help is invaluable and they’ve found him excellent to work with. He is able to overcome issues smoothly, make himself available, and share his knowledge in every way possible. Bobby Harding is a Kentucky real estate agent with five years of experience. He is a team lead of Kentucky Homes Realty Group. Harding insists that it’s always a good market with the right Realtor and invites first time buyers, experienced buyers, and savvy investors to turn to him for help finding the Louisville property that will meet their needs. He is proud to help his clients make informed decisions while working as a negotiator and valuable source of information. Harding’s clients say he puts them at ease, making the home buying process as painless as can be. They know they’re well taken care of as he works through every step skillfully on their behalf. Marilyn Cardine-Baker is broker and owner of Right Choice Realty in Louisville. She has more than 11 years of experience in real estate and supports buyers and sellers with their real estate needs. Cardine-Baker has extensive experience in Louisville real estate and helps her clients make the right choice for their needs. She holds a number of certifications including Short Sale expert, HUD Registered Broker, Kentucky Housing Corporation Certified, Military Relocation expert, and the ability to issue Brokers Price Opinions. Clients say she is dependable, supportive, and reassuring. They always feel that she is on their side and looking out for their best interests as they work through the real estate process. 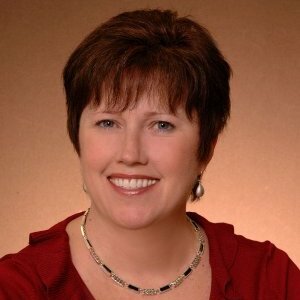 Mary Ann Ritsch is an experienced Realtor with more than 20 years in new construction and existing home sales. She is an award winning top producing multi million dollar real estate sales leader. Ritsch credits her success to her personalized service and superior support team that allows her to focus on her expertise. Her area of specialty is deal and dollar maximizing contract negotiations, and she is proud to be outspoken, direct, honest, and forthright. Clients are blown away by her excellent (and fast) results, thorough information, and support every step of the way. They say she goes above and beyond to make sure her clients are satisfied and understand everything they need to know. Shamus Greene is team owner of the Shamus Greene Realty Group. He has 11 years of experience in real estate and has earned a reputation as a respected member of the Greater Louisville Association of Realtors. Greene is proud to create a superior customer service by giving his clients one on one attention, focusing on their needs and wants, and helping each client to make an informed decision. He makes the process of buying or selling a home enjoyable while ensuring that clients get what they’re looking for at a good price and in a timely fashion. Clients say he is highly professional and dependable. They appreciate his outstanding support, confidence, and motivation every step of the way. 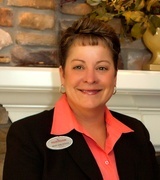 Pam Ruckriegel is a Louisville Realtor with more than 16 years of experience. She is the leader of the Louisville Real Estate Pros team. Ruckriegel specializes as a buyer’s agent and listing agent. Her interests also include relocations and consulting. Along with her team, Ruckriegel supports her clients every step of the way, guiding them through the home buying process expertly and with ease. Clients value her knowledge, honesty, and professionalism. They love her negotiating skills, persistence, and ability to deliver excellent results even in unusual home buying or selling situations. 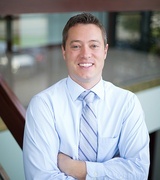 Joe Hayden is the leader of the Joe Hayden Real Estate Team in Louisville. He has more than nine years of experience and his team is the number one team of buyer’s agents in the greater Louisville area. Hayden and his team focus on service, expert guidance, and representation to help their clients buy a home at the right price and terms. He feels it’s his job to educate clients and allow them to make an informed decision. Clients say Hayden and his team are patient, on the ball, and quick to action. They feel lucky to work with them and appreciate how they go above and beyond to take care of their needs. 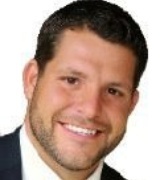 Jeremy Byers is the owner of the Jeremy Byers Group with RE/MAX Premier Properties in Louisville. 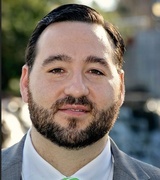 He has more than 12 years of experience in real estate and and specializes as a buyer’s agent and listing agent with interests in foreclosure and consulting. 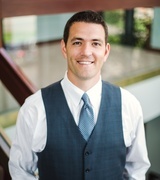 Byers also has a background as a loan officer, allowing him to better assist his clients as they work through the financial considerations of real estate. He is proud to provide a high quality of service. Clients of Byers say he is knowledgeable and comforting, sharing patience and great advice. They note that he goes above and beyond to help them achieve their goals in real estate. 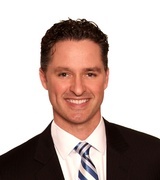 Michael Higdon is a real estate sales professional with the Higdon-Kennedy-Myers Group. He has 15 years of experience in real estate. Higdon makes a full time commitment to each of his clients, working with them on the local market, neighborhoods, and more. He has expertise and a track record of success. Higdon offers his clients extensive resources, including online information and email alerts, as he personally guides them through the exciting process of real estate. His clients say he makes the process easy and exciting as he is there every step of the way. They appreciate how well he keeps them informed of everything going on during the process as well as his knowledge and responsiveness. 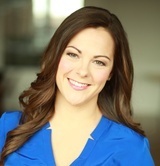 Stephanie Gilezan is a real estate broker with Gilezan Realty in Louisville. 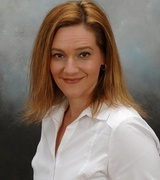 She has more than 17 years of experience and specializes as a buyer’s agent and listing agent. She has interests in relocations, short sales, property management, and more. Clients of Gilezan say she is professional, helpful, and always has an immediate response. They appreciate the seamless process as she moves quickly to meet their needs. 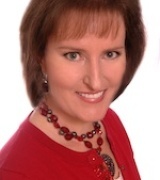 Kathryn Sotelo is the team owner of At Home in Louisville Real Estate Group. She is a buyer’s agent as well as a listing agent. Sotelo and her team are proud to sell homes a month or more faster and for one to three percent higher than the average Louisville Realtor. They also help home buyers find the perfect home and negotiate the best price. Sotelo is always excited to share her resources and experience for every client. 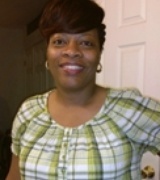 Her clients say she and her team are professional and caring and make the home buying and selling process stress free. They’re excited about her sharp negotiation and problem solving skills as well as her team approach to real estate. Bruce Moore is a Realtor with more than 10 years of experience. He focuses on buying and selling homes in the Louisville real estate market. Moore has also branched out into countries in Central and South America. His credentials include Accredited Buyers Representative, E-Pro, and International Real Estate Specialist. Clients say he is great to work with and are impressed by how quickly and effectively he is able to find exactly the home they’re looking for. And they love how enthusiastic he is about finding the perfect home. 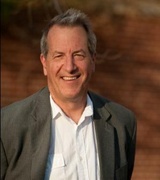 Mitchell Thomas is the principal broker and owner of Lane Thomas Real Estate. He promises a premium service from beginning to end with a client focus. Each client enjoys his experience, knowledgeable expertise every step of the way. Clients of Thomas are guided through the process with knowledge and support to find the perfect solution. They say he is professional, straightforward, and progressive thinking. They find him to be knowledgeable, responsive, and easy to work with. 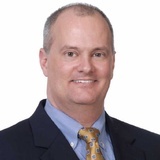 Rick Hogue is leader of The Hogue Group with Killer Williams Realty in Louisville. He has a team working with him to help buyers and sellers realize their dreams in real estate. Hogue is a respected real estate agent in Louisville and was elected to serve on the Greater Louisville Area Realtors Board for 2016. Clients say Hogue is their advocate, helping them with every detail from negotiation to repairs and even haul away. They find him to be trustworthy, a great negotiator, and excellent at communication.